No 61, Ormes Road, Kilpauk, Chennai - 600010, Tamil Nadu, India. Over the years, the Chennai real estate scene has transformed into a star studded one with many upscale commercial spaces and residential apartments in Chennai. Driving this trend from the forefront is a home grown stellar realty brand called Prince Foundations - an undisputed haven for home dwellers and corporates in Chennai City. Prince Foundations came into existence in 2004 and has acquired tremendous brand equity in both commercial and residential segments. In a very short span we have over 6.5 million square feet of completed, on-going and forthcoming real estate projects in Chennai, making us one of the top 10 builders in Chennai. 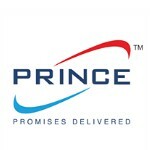 Every Prince property has been built with the finest ingredients of total commitment, fresh ideas, thoughtful features, effective space utilization concepts, life enhancing amenities, meticulous planning and loads of professionalism all coming together in perfect proportion to create unique properties in Chennai. When it comes to real estate Chennai offers a plethora of choices. At Prince, we provide an option for everyone in every price range be it budget, premium or luxury apartments in Chennai or ideally located IT parks. We strive to ensure your quest to owning the perfect property ends right here because at Prince Foundations; 'your dream is our reality'. Complete transparency, superior service levels and the best prices - which mark our reputation as one of the top most builders in Chennai and in the industry, leaving you with a unique feeling at Prince Foundations - Promises Delivered!